Unica Janitorial Solutions LLC (Unica) is a SDB, Woman Owned SB, 8(a), HUB and NCTRCA certified, full service commercial janitorial and facilities operations company. Unica is a minority-owned business that thrives on exceptional customer service and quality janitorial services. Unica has been in business since 2007 and is proudly based out of the Dallas/Fort Worth Metroplex. Unica’s Owner/President, Nancy Galvan, who is a life-long Fort Worth resident, graduated from North Side High School and the University of Texas at Arlington, with a degree in Advertising Marketing. 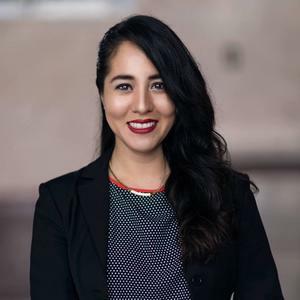 Ms. Galvan currently serves on the boards of the Hispanic Chamber of Commerce and the North Side High School Legacy Foundation. Owner Eric Marceleño joined Unica's team in 2016 and is in charge of the day-to-day operations of all federal government contracts. 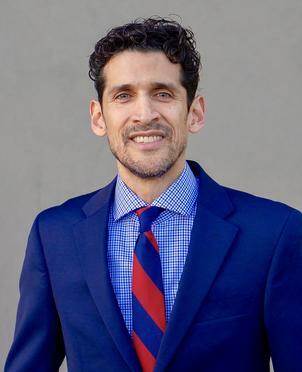 Mr. Marceleño was born and raised in Oak Cliff, southwest of Dallas, where he graduated from Kimball High School and later, the University of Texas at Arlington. Mr. Marceleño came to Unica with over 20 years of sales, negotiations and project management experience with large corporations such as Farmers Insurance Group, Citigroup and Verizon. His eagerness to work in the federal sector comes from his mother, who was employed for over 25 years with the U.S. Federal Probation Department, Northern District of Texas in Dallas. Unica started out in 2007 as a part-time janitorial service. Ms. Galvan would work evenings after leaving her 8:00-5:00, full-time job with Bell Helicopter, where she was a Contracts Administrator. Ms. Galvan decided to start a janitorial company after doing extensive research on different industries. She decided to go into janitorial because there was a great need for cleaning services in the DFW area. Though the country was going through an economic downturn at the time, she found it was the best time to start a business. After two years of working full-time at Bell and running her business part-time, Ms. Galvan had established a sufficient amount of janitorial contract work to where she could leave her full-time job, permanently. Over eleven years later, Unica is still going strong, proudly servicing numerous commercial accounts throughout the DFW Metroplex as well as the U.S. Federal Government, Department of Defense. As for our name, we are always asked by customers and vendors, "What does Unica mean?" Growing up the only daughter and having three older brothers, Ms. Galvan's mother lovingly called her "La Unica" or "The Only Girl". Over the years, the name stuck and came to remind her of her proud Mexican heritage, while serving as a constant reminder of her parent's lifelong struggle to create a better life for their children.